Started as a market stall in Dublin, Hook grew up in Brussels and discovered craft beer before setting its sights on London. 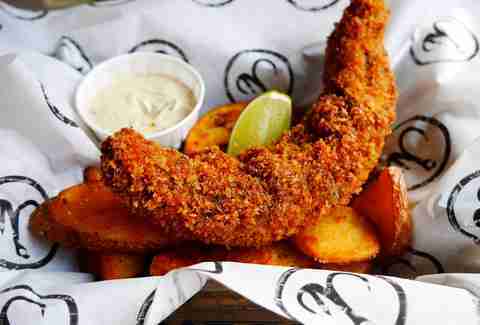 Not content to rest on its laurels, it is constantly trying to push the evolution of the good old-fashioned F&C with seven different flavour combos with two different crusts (Panko breadcrumbs or tempura batter), plus loads of different sauces. Throw in a crazy-awesome, eco-friendly business plan (recycling, sustainable fish, and biodegradable cutlery) and this could be the the start of a new era. Lets get this out of the way: you’re not coming here for the decor. 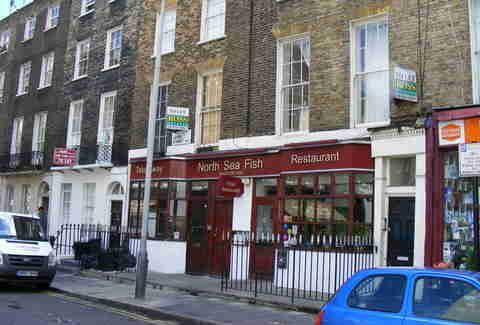 This no-nonsense chippy does a roaring trade with the locals (aka the political set) by delivering fast, fresh, flaky fish in a crispy coating with golden fries good enough to eat while still at tongue-burning temperatures. 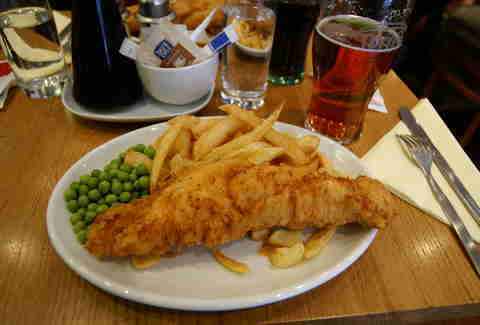 Serving up the traditional cod & haddock and the obviously necessary halibut, it has a slightly more extended list of options including the more unusual skate, squid, and scampi, drawing in long queues come lunchtime, which it burns though with a military-like efficiency. This family-run old-timer has been upping its game in recent times making the sit-down experience a rounded one, with portions so huge you’ll be waddling out fat and happy by the end. 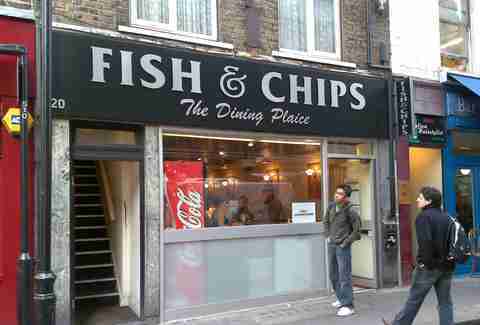 This is a blessed union of two of London’s finest guilty pleasures: fish & chips and kebabs. This Cypriot chippy has been covering all bases with aplomb since 1958, keeping mouths contentedly busy with traditionally massive portions of all things delicious and frequently crispy. The staff is always Stepford Wives-level happy and will bend over backwards to make sure you have a great experience, regardless of how rammed it is. With the feeling of a old-school chippy, The Fish House has a new-school mindset: all fish are sustainable and traceable right down to the boat and crew, plus the potatoes all come from one farm here in the UK to keep an eye on air miles. Then it makes sure to have the most up-to-date technology so your chips are crispy -- never soggy! -- and all of it at a lower fat content than the average spot. With that much TLC before it even gets to the plate, it’s only fair to say it’s going to be delicious. 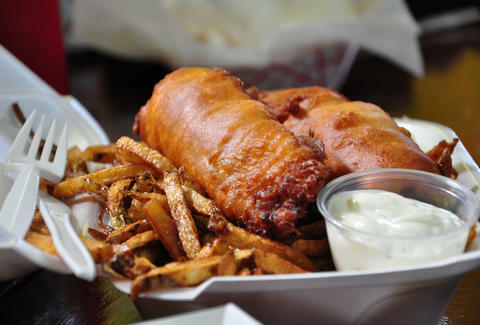 In the no man’s land of Victoria, this is an oasis of fried goodness. It went the extra mile on its eat-in area, so be wary when consulting your wallet for a cheap and easy meal. The takeaway on the other hand -- especially if the sun is shining -- can be a total score. 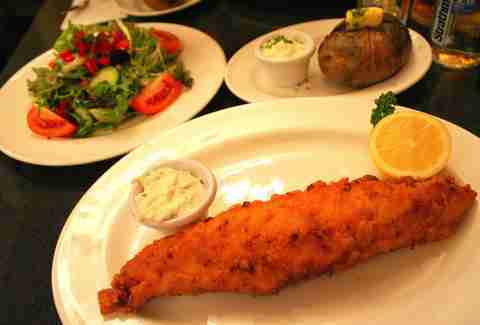 The fish is crisp and flaky and as big as your head, so you get a massive gold star if you actually can finish one off. After surviving a massive fire back in 2009, The Sea Shell has built itself back up complete with the original black-and-white tiled floor. Known for drawing in A-listers on the DL and locals alike, the price point is a touch higher, but with unlimited chips and a classically decorated dining room, it suits the place. Super-fresh fish comes out coated with just the right amount of batter, the better to burn your fingers on while picking at it before it cools. 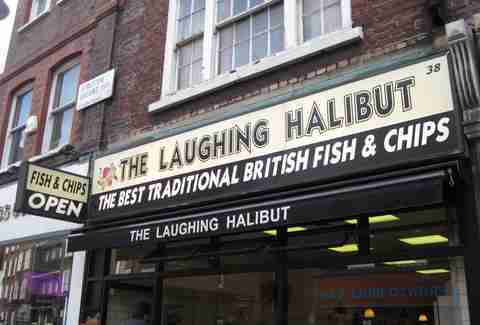 Right in the centre of Soho, you’ve probably walked by this unassuming shop countless times. It’s okay, everyone makes mistakes sometimes. 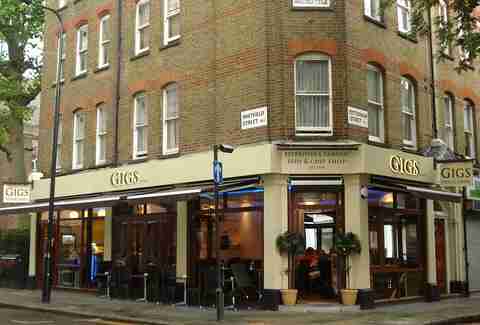 Luckily, now you know you’ve been walking by some of the best fish & chips in Soho with a super-friendly staff, tasty, house-made sauces, and gigantic portions. Add in thin, crunchy coating, picked away to reveal perfectly cooked fish and you’ve just discovered your favourite spot.